The NFFO and SFF stated that polling shows overwhelming support for a better deal for the UK fishing industry. They said that the public ‘across party and political divides, rural, urban and coastal communities, and all parts of the UK’ backed the benefits of the country becoming an independent coastal state. 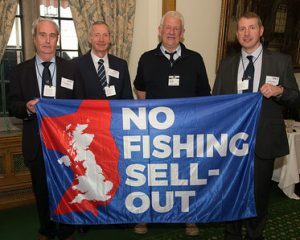 NFFO team left-right: Tony Delahunty, Arnold Locker, Ned Clark and new chairman-elect Andrew Locker send a clear message to the politicians. 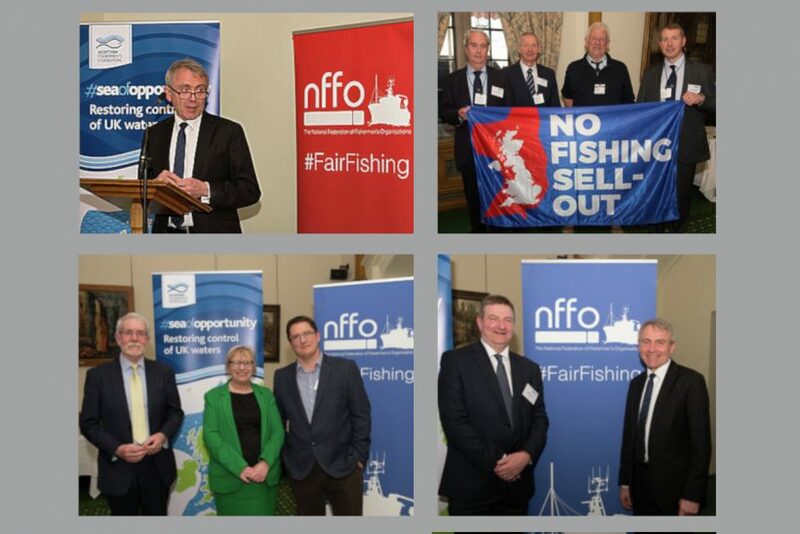 The national federations put their views at an event in Westminster last Tuesday (2 April) that they organised jointly to provide a platform for parliamentarians to express support for the fishing industry. 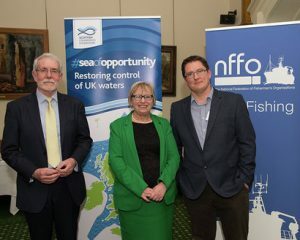 Shadow fisheries minister Luke Pollard and Liberal Democrat fisheries spokesman and former secretary of state for Scotland Alistair Carmichael also addressed the event, as did NFFO and SFF chief executives Barrie Deas and Bertie Armstrong. Around 70 parliamentarians gathered at the event. Representatives from all the major fishing regions and sectors in the country attended and briefed local MPs and members of the House of Lords on fisheries issues generally, and in their specific regions and ports. Barrie Deas and Bertie Armstrong presented the outlook for the UK fishing industry at this critical juncture in the Brexit process. North meets south: SFF chief Bertie Armstrong with East Cornwall MP Sheryll Murray and Cornish FPO leader Paul Trebilcock. In a joint statement, they reminded the government of previous promises made to the industry. “We are delighted that the future opportunities for the UK fishing industry have become a core focus of Brexit, and the government has made many significant promises that we will be a truly independent coastal state. “We are disappointed at the current delay in exiting the CFP, and at the prospect of an even longer delay if the government and parliament fail to agree a way forward. “At long last, the sea of opportunity that is available to UK fishermen outside of the CFP is within our grasp, and the public want to ensure we’re able to secure this and become a world leader in sustainable, innovative and prosperous fisheries management. They said that the public know that the industry was betrayed 40 years ago when the UK signed up to the CFP, and would not accept this happening again. “Outside the CFP, the British fishing industry will be a global leader,” said the federations. The UK’s herring quota is 15%, yet 88% of all herring stock in the EEZ is within these waters, meaning that UK fishermen can only take a small percentage of a local fish stock. The federations said that a rebalancing of quotas will help to revive coastal communities, and provide the conditions to sustainably grow the industry for future generations. NFFO chief executive Barrie Deas said, after the event, that it had been held to ensure that the industry ‘maintains a high profile during these turbulent times, and to ensure we get the best possible deal for the industry’. NFFO chief Barrie Deas and fisheries minister Robert Goodwill. He told Fishing News: “I think the event worked very well. 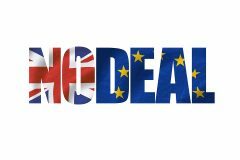 It was broadly about Brexit, though groups of industry representatives were able to brief their local MPs both on their Brexit concerns and on specific issues. He said the attendance at the event was a strong show of support for the fishing industry from the legislators. The support was from both houses of parliament, and across the party spectrum. “There is a widespread recognition that we have been tied into the CFP for 40 years, and that that set of arrangements has worked systematically, from the outset, to our disadvantage. Different routes to leave the EU are under discussion, but whichever one is finally taken, leaving the EU means that the UK’s legal status changes and we will become an independent coastal state, with regulatory autonomy and the freedom to negotiate as an independent party. He said the federations had already held two events to lobby MPs, as well as two press briefings with editors of the mainstream press, to maintain the industry’s profile during the Brexit process. The UK’s new fisheries minister presented an upbeat vision of the future for the fishing industry after Brexit at the Westminster meeting. 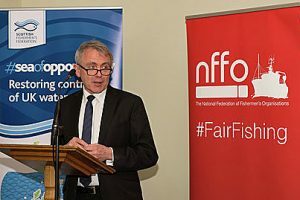 In his formal introduction to the industry, and his first public speech on fisheries after taking over from George Eustice, Robert Goodwill said that fishermen are ‘absolutely right’ to look forward to life after the CFP, and to the sea of opportunity ahead. 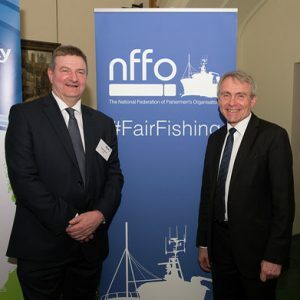 New fisheries minister Robert Goodwill made his introductory speech to the industry at the event. He told the meeting: “Leaving the EU will mean taking control of our waters for the first time in 40 years, and giving the UK the chance to decide who can access our waters and on what terms. Let me be clear – automatic rights for foreign vessels to access our waters will end. “Leaving the EU gives us a golden opportunity to secure a fairer share of fish for our fishermen, and set out a sustainable future for our fisheries. The minister stressed that as well as getting a fairer share of the fish in our waters, it was critical to be able to sell the fish for a good price and get it to market quickly. The minister, who is the MP for the Yorkshire coast constituency of Scarborough and Whitby, said that fishing, processing and aquaculture contribute £1.57bn to the UK economy and employ around 33,000 people – but it was not just the people directly employed in these industries who depend on them. “In coastal regions throughout the UK, fishing is part of the fabric of the community; it is central to the culture and atmosphere of coastal towns. But over the past 40 years, some of these towns have seen a decline,” he said. Mr Goodwill said that the government is committed to securing the best trade deals for the UK. Concerted efforts are being made with partner countries to transition existing EU-third country free trade agreements. And in the event of a no-deal Brexit, he said that legislation is in place to ensure that the same rules will apply from day one as apply today, and that a ‘functioning legislative framework’ will be in place. Looking ahead, the minister said that the fisheries bill will enable policies to be amended over time, and that it ‘embeds our commitments to sustainability’. “In looking at developing our future fisheries policies, we’re keen to take our time to consult properly, pilot where appropriate, and be mindful of unintended consequences – but also to learn the lessons from the rigid and cumbersome CFP by being able to move faster. Mr Goodwill said that the MMO is recruiting and training more enforcement officers and support staff, and that ‘significantly increased levels of surface aerial surveillance’ are being brought in. He, and shadow fisheries spokesman Luke Pollard, thanked former minister George Eustice, who attended the event, for his work for the industry. A long-time campaigner for the UK to leave the CFP and control its own waters says that the withdrawal agreement will be a terrible deal for UK fisheries, and worse than staying in the EU, reports Tim Oliver. John Ashworth of Save Britain’s Fish (SBF) said he had read the entire withdrawal deal and noted the paragraphs relevant to fishing. He said the only way for the UK to be truly free would be to leave the EU with no deal. The legally binding deal says that the relative stability keys that decide our share of TACs ‘shall be maintained’ throughout the transition period – which could last up to four years. As regards fishing opportunities during the transition period, the withdrawal agreement says that the UK must only be ‘consulted’ – and this includes the preparation of relevant international consultations and negotiations. Furthermore, the UK will have to comply with all EU law during the transition period. John Ashworth said the agreement was worse than staying in the EU, because we would have to comply with all existing and new regulations on fisheries, without having any say in their formulation. He told Fishing News: “What that means is that during the transition period – which was expected to be from 30 March, 2019 until 31 December, 2020 – the UK continues as at present, controlled by the CFP, but unlike now, where we have input and some influence, there would be none. We are only to be consulted, which is more akin to being told. He said the Commission has made it very clear that any extension of the transition period beyond the 21 months already agreed – which could be up to two more years – would only be granted on the same access terms as in the existing transition arrangements. He pointed out that all the provisions would be included in a treaty that would be unchangeable. He said, “So when Downing Street states, ‘We continue to believe that the deal the PM has negotiated is the best outcome for the country,’ you can now understand that for our rural coastal communities, it is a disaster – Downing Street’s ‘the best’ is worse than staying in the CFP. “The EU will be free to do what it wants under the withdrawal agreement. It will be able to keep the UK under its thumb, while making us pay substantial financial contributions.